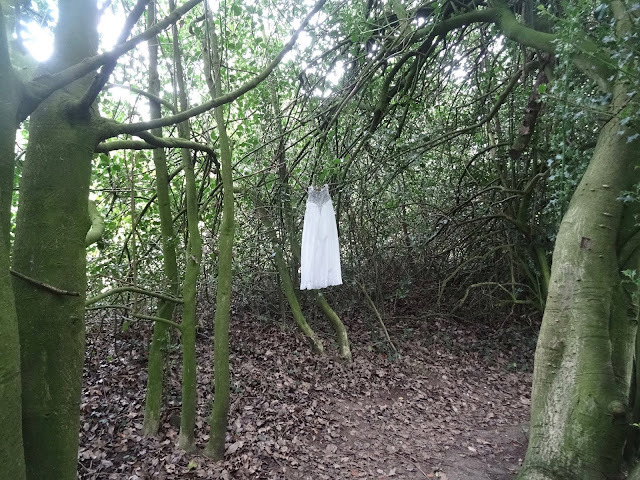 The tree hand embroidered onto this child's nightgown grows at the end of Englands Lane in Loughton, Essex. As a girl I remember sitting underneath its branches and colouring in my flower fairy book. This memory leads to the next, that afternoon I developed sun stroke and spent the rest of the day in our back bedroom, curtains drawn, being sick. This memory is vivid and hazy all at once. Throughout my life I've held a soft spot for this gnarly hawthorn, probably growing before the housing estate was built in the 1940's. I'd often walk past it when visiting Mum. 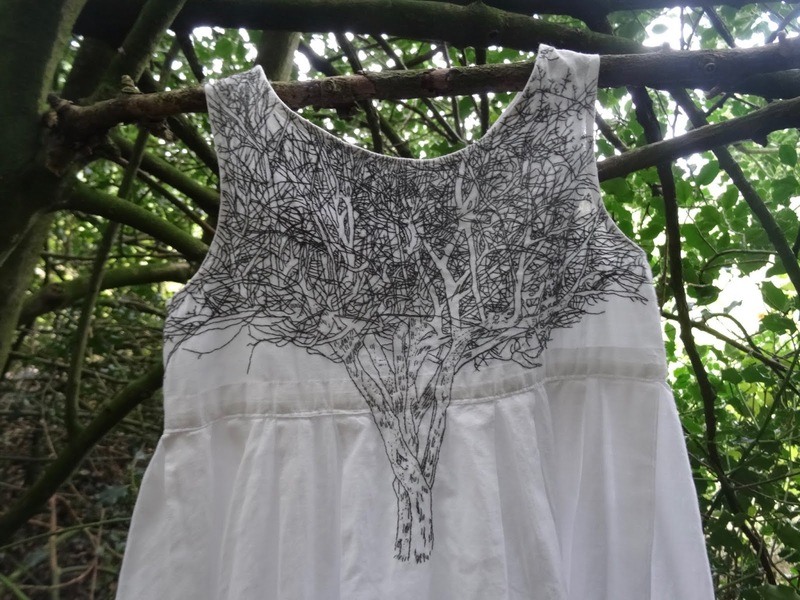 Last year my sister and I packed up Mum's house after her death and this spring, knowing I was leaving the London/Essex area and moving to Derbyshire I photographed the tree, intending to embroider it onto a girls nightdress. 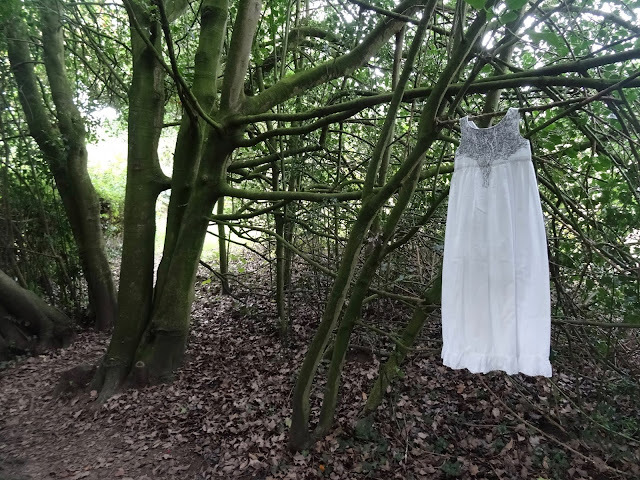 Now made I can see it's not quite right, Mum would have appreciated the work BUT there is another version that could be made, an embroidery onto a 1970's synthetic nightdress, less pretty, odd. Can I spend another 100+ hours hand sewing? For now, I'll take a breath and appreciate the focus and effort involved in making this.